A flat roof for commercial businesses make a lot of sense for a host of reasons; the level roof surface is utilized for air handling units, gas vents, skylights, and other mechanical equipment; a flat roof serves as a superstructure from which to attach joists and suspend piping, HVAC ductwork, and lighting systems from; peaked roofs add unusable space that requires heating or insulating from the cold; and finally, for wide span roof coverage, such as required for most commercial structures, a flat roof is the optimal engineering solution. 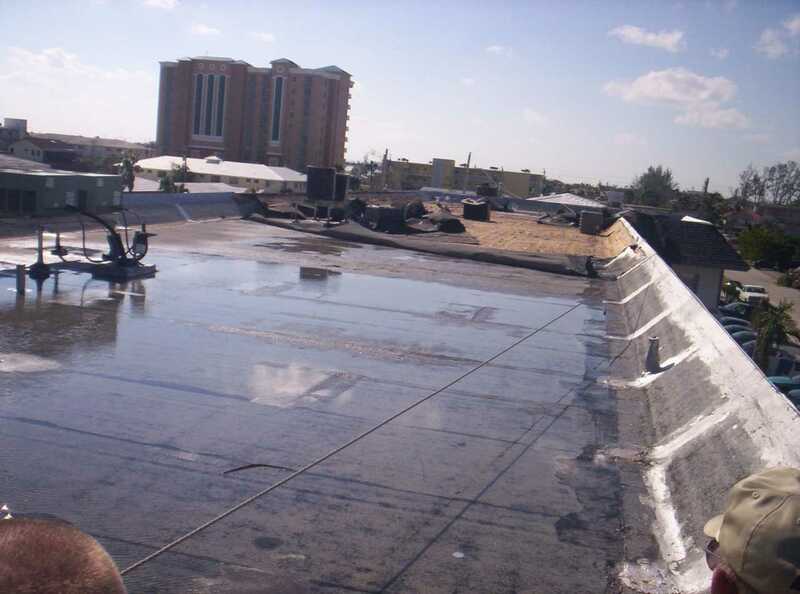 A properly installed flat roof is the most cost-effective installation for commercial sites in time, materials, and labor. 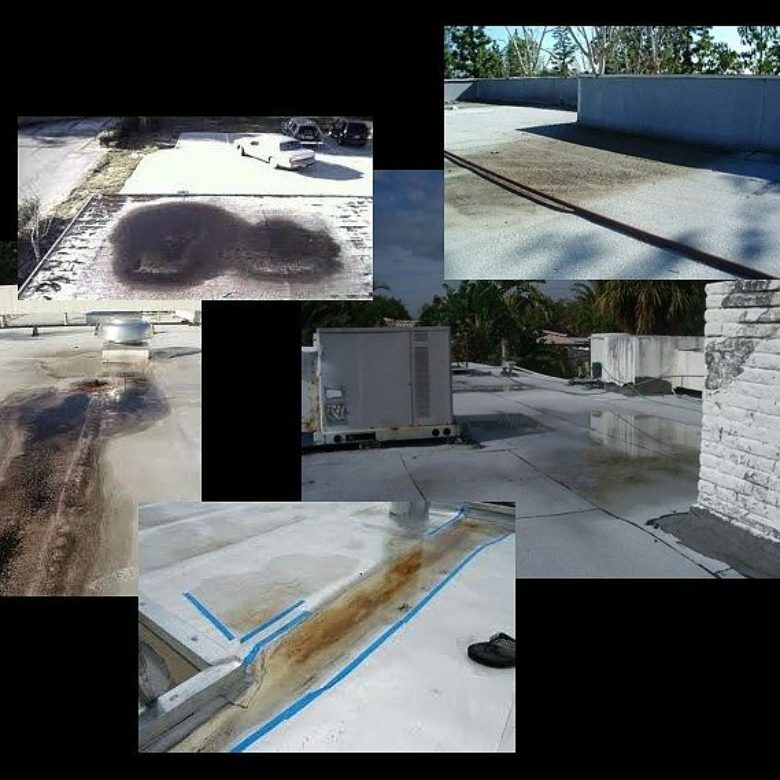 Yet, for all these benefits, a flat roof is most prone to failure, especially due to the long term effects of ponding water. 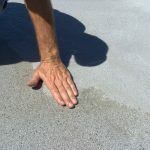 Standing water either directly causes or can lead to the proliferation of blisters, wrinkles, flashing sealant failure, fastener corrosion, and roof membrane deterioration. 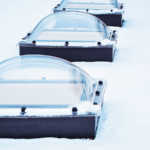 Ponding water is defined as the accumulation of water caused by rain, melted snow and ice, or condensation puddles from failed rooftop equipment, which does not properly enter the roof drainage system for a period of 48 hours (some manufacturers dictate only 24 hours are required). This is the result of a flat roof that is not adequately installed or correctly pitched to quickly evacuate surface water. failure of roof penetrations and components – flashing, parapets, skylights, etc. Roof assemblies are engineered to withstand serious structural failure due to overloading – that is, an excessive live load due to the build up of rain/water or snow/ice as predicted from the geographical climate zone; and from overbearing, for example, when the pressure differential from excessive winds exceed the resistance of the roof causing uplift of the roofing membrane. A structure in which the roofing system no longer accomplishes its waterproofing obligation and the roof assembly has become compromised and weak will no longer perform according to the calculations and standards initially designed by the architect or structural engineer. At this point, what began as a ‘ponding water’ issue 10 years ago, has now spread, resulting in a deformed membrane and weakened joints throughout the metal deck (a part of the roof assembly). Excessive live load (from a major snow event), or dead load (such as installing a larger AHU and other equipment), or persistent overbearing (common during a windy season in most climates) applied to the roof will now cause roof deflection and place a greater stress on the roof foundation, assembly joints, and the entire building framing. Don’t allow long-term ponding water to lead to an eventual catastrophic roof failure. 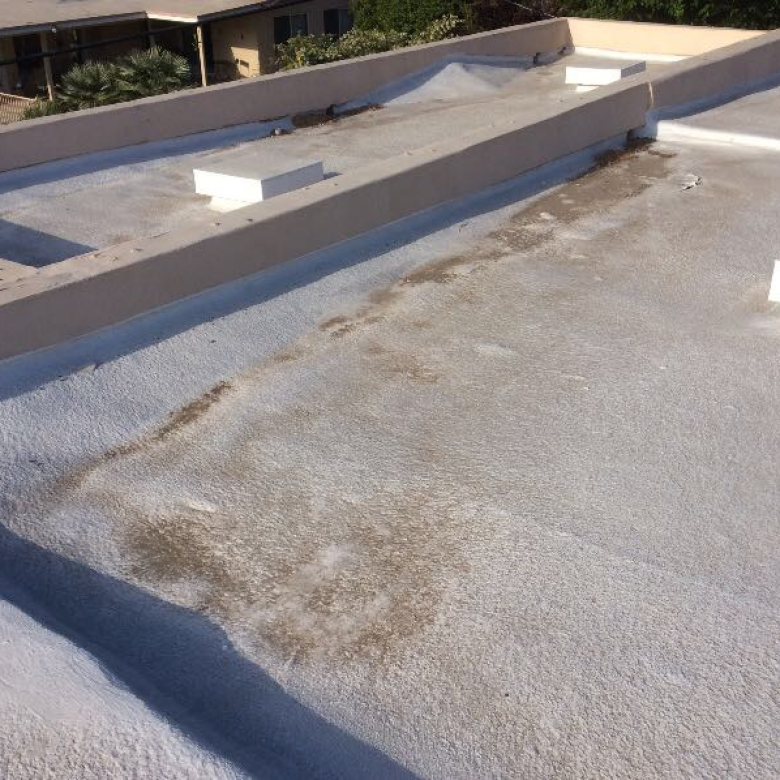 Contact us to discuss how our sloping system can provide a cost-effective solution for poor flat roof drainage issues and prevent a serious roof failure in the future.